Just when it has felt like we're on the cusp of spring here in Edmonton, we've been getting a few dips in temperature. At such times, I'm once again pulling out my cozy outerwear. 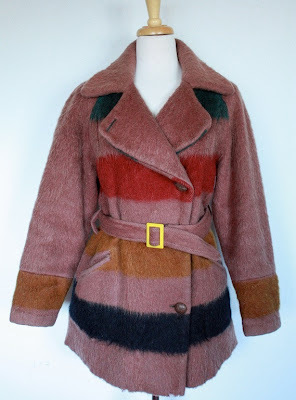 What could be cozier than cocooning oneself inside a vintage blanket coat?? Not much!! My friend over at the Vintage Haberdashers has done a lovely ode to one distinctly Canadian variety of the blanket coat: the Hudson's Bay Company Point Blanket Coat. Please check it out (he's done a bit more of the history than I will here). 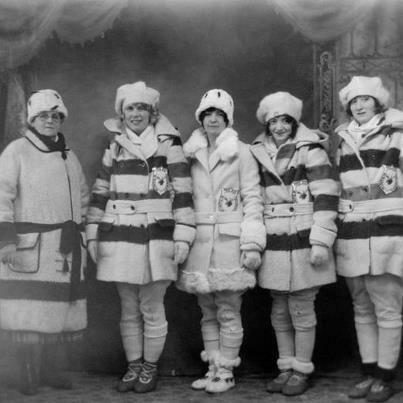 Jonathan Walford has also done a great piece on this iconic outwear as well (first image is from his blog and the piece is in his Fashion History museum); of course, the HBC has done a very informative page as well. 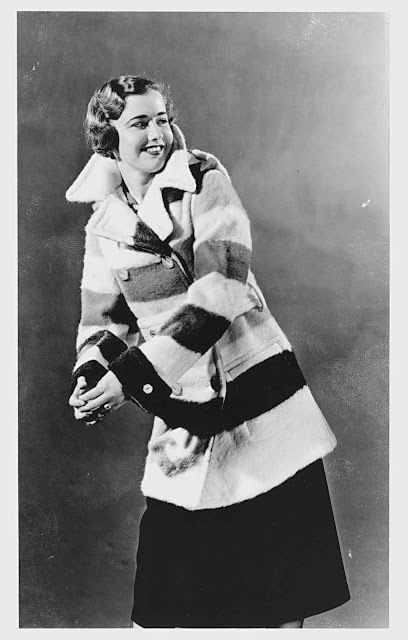 Now, a peek at my favourite images and examples of Bay Blanket beauties for women! 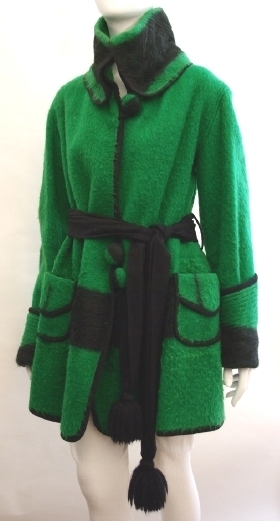 1920s/30s Bay Blanket Coat wearing cuties! WOW! Rare and beautiful 1920s/30s Pink Bay Blanket coat on Etsy! Hi, Hannah! Yes, that one is my absolutely favourite, too!! Just lovely and warm. I've always wanted a lovely blanket coat. It appeals to my Indian side. Absolutely fantastic images (and links) one and all. I adore the fact that there are others out there who love learning about and celebrating the timeless appeal of Hudson Bay blankets, too.